Restylane® is a cosmetic dermal filler that restores volume and fullness to the skin to correct moderate to severe facial wrinkles and folds of all types. It is also used to increase fullness and enhance the lips, define the lip line, fill scars and restore facial areas that have lost their youthful appearance. What is Restylane® Made of and is it safe? Restylane® is made of a non-animal hyaluronic acid, being a natural substance that already exists in the human body and is used to provide volume and fullness to skin. The hyaluronic acid in Restylane® is a crystal clear gel that is biodegradable and completely biocompatible with human hyaluronic acid. Because Restylane® is non-animal based and fully biocompatible it is safe and there is no risk of animal based disease or allergic reaction. Restylane® is FDA approved and has been safely used by dermatologists since 1996 worldwide. What are Restylane® treatments like? The treatment is simple requiring no pre-testing and is performed at your doctors' office in less than one hour. First the patient is given an anesthetic cream or block, making the treatment relatively painless. The doctor will then inject Restylane® into the treated area, under the skin with a very thin needle. The patient experiences no marks or scars and results are immediately visible producing a long-lasting, natural enhancement that is gentle and soft to the skin. How many Restylane® treatments do I need? Radiesse is a non-surgical injectable filler most commonly used for facial contouring and lip enhancement. It is an ideal solution to smooth and revitalize key areas of your face such as smile lines, frown lines, lines between your nose and mouth and on the upper lip. It will reduce blemishes such as acne scars and restore fullness and definition to the lips and cheeks. Radiesse is time-proven so it is safe; FDA approved, and delivers a high level of facial rejuvenation with immediate and long lasting results. What Makes Radiesse An Ideal Solution? The key element of Radiesse is identical to the chemical structure of calcium naturally present in the human body. Radiesse remains soft and flexible and is exceptionally compatible with the body. Typically, only one treatment is sufficient because Radiesse is not absorbed by your body and is long lasting. Radiesse does not cause any allergic reaction nor does it paralyze or act on facial muscles. Best of all, it produces results immediately that last three to five years or longer without repetitive treatments. What Are Radiesse Treatments Like? Treatments are performed at your doctor's office and take only about fifteen minutes. Since Radiesse is an injectable there is no surgery and only a small amount of anesthetic is needed. The Radiesse is then injected into the selected area by a tiny needle (specifically designed for cosmetic procedures) just under the skin producing results that are immediately visible. How will I Feel And Look After Treatment? You can comfortably return to your normal activities after your treatment. Side effects are rare and any minor swelling or redness from the injection can be covered with make-up and usually disappears within one to two days. You can immediately expect greatly improved wrinkles, enhanced lips, or smoothed-out depressed scars. Perlane®, an FDA-approved hyaluronic acid injectable filler, is used to fill in deeper wrinkles and folds around the eyes, cheeks and mouth, adding volume and lift to the face. As we age time and overexposure to the sun cause the hyaluronic acid that occurs naturally in our skin to diminish. Perlane® is a natural, non-allergenic substance used to replace the hyaluronic acid lost by the body as the skin ages. Belotero is an FDA approved cosmetic dermal filler to help reduce fine lines and wrinkles on the face and add overall volume to the skin. Belotero is made from hyaluronic acid and when properly injected produces very natural looking results, adding subtle volume and plumpness to facial tissue with little to no downtime. Treatments are conducted in the comfort of the doctor's office and take just a few minutes to complete. Most patients return to their regular daily routines immediately, although there may be some slight redness around the treatment area. Belotero is not a permanent treatment as with all dermal fillers, it will wear off over time. However, Belotero usually lasts a bit longer than typical hyaluronic fillers, about 6-9 months, with most patients reporting they were still pleased with the results nine months after their treatment. What is Belotero Balance Dermal Filler? Belotero Balance Dermal Filler is an injectable filler that easily and quickly integrates into your skin. Once injected, it instantly smoothes the lines and wrinkles in your face. Belotero Balance can be used in a variety of areas on the face, but it makes significant improvement around the mouth as well as the delicate eye area. What is the difference between Belotero and other Fillers? If you have been previously treated with Dermal Fillers, you will be surprised by the subtlety of the area treated with Belotero. Unlike other Hyaluronic products, you are unlikely to feel the filler, but will certainly see the refreshing result. Belotero Balance Dermal Filler is made of a material called hyaluronic acid. Hyaluronic Acid is a natural substance found in your body. When injected, it acts like an inflated cushion to support facial structure and tissue that may have lost volume and elasticity due to the normal aging process. It also hydrates the surface of the skin to keep it looking fresh and supple. You can expect instant results upon injection. In clinical studies 97% of patients showed a visible improvement after just one treatment with Belotero. Belotero plumps the skin and smoothes away lines and wrinkles in the periorbital and perioral areas of the face, cheekbones, nasolabial folds, marionette lines (lines around the corners of your mouth to your jaws) and forehead lines. Individual results may vary, but Belotero Balance Dermal Filler may last about 6 months or more. Belotero is reasonably priced compared with other fillers and provides long lasting results. Contact our office for prices and ongoing promotions. As with all injections with a needle, there can be some pain associated with the procedure. Our health care provider can discuss ways to manage any discomfort during the procedure. Belotero Balance Dermal Filler is injected into the skin in a simple, quick procedure that can be done using a fine gauge needle. There is very little to no down-time associated with a Belotero procedure. In fact, most patients return to their normal daily activities right after their treatment. ​Belotero Balance Dermal Filler is FDA approved for injection into the mid-to-deep dermis for correction of moderate to severe facial wrinkles and folds, such as nasolabial folds, and has undergone testing in a clinical study to prove its safety. The safety of Belotero Balance for use in pregnancy, in breastfeeding females, or in patients under 21 years has not been established. As with all transcutaneous procedures, Belotero Balance injection carries a risk of infection. Patients who are using substances that reduce coagulation, such as aspirin, non-steroidal anti-inflammatory drugs, and warfarin may, as with any injection, experience increased bruising or bleeding at injection sites. Exposure of the treated area to excessive sun, UV lamp exposure, and extreme cold weather should be minimized until any initial swelling and redness have resolved and puncture sites have healed. As we age our bodies lose natural hyaluronic acid that gives us a youthful appearance, leaving our skin looking tired and wrinkled. Juvederm®, a FDA approved hyaluronic acid injectable filler, can be used to improve skin appearance and diminish wrinkles, fine lines and folds leaving a smooth, fresh and younger appearance. Juvederm® is a clear gel-like substance, injected by your physician into the under-eye area, folds of the cheeks, and outer corners of the mouth; it has also been used effectively for lip enhancement and cheek contouring. Juvederm differs from other dermal fillers in that it is supple instead of rigid so it can provide a smoother, more natural appearance. The results of Juvederm® are almost immediate and last for up to a year. Juvederm® is comprised of a natural filler substance that over time is absorbed by the body. Side effects associated with treatment are minimal and include minor pain, swelling and redness at injection sites, which typically disappear within a few days. Juvederm Voluma is the first hyaluronic acid filler formulated with lidocaine that is FDA approved to restore age-related volume changes in the cheek area. Manufactured by Allergan, Juvederm Voluma provides special lifting capacity using Vycross technology. For some patients it can be an alternative to facial surgery restoring youthfulness and volume in the midface area with results lasting up to 2 years. VOLUMA™ XC is the first and only FDA-approved Hyaluronic Acid injectable dermal filler to instantly add volume to the cheek area, for a subtle lift. 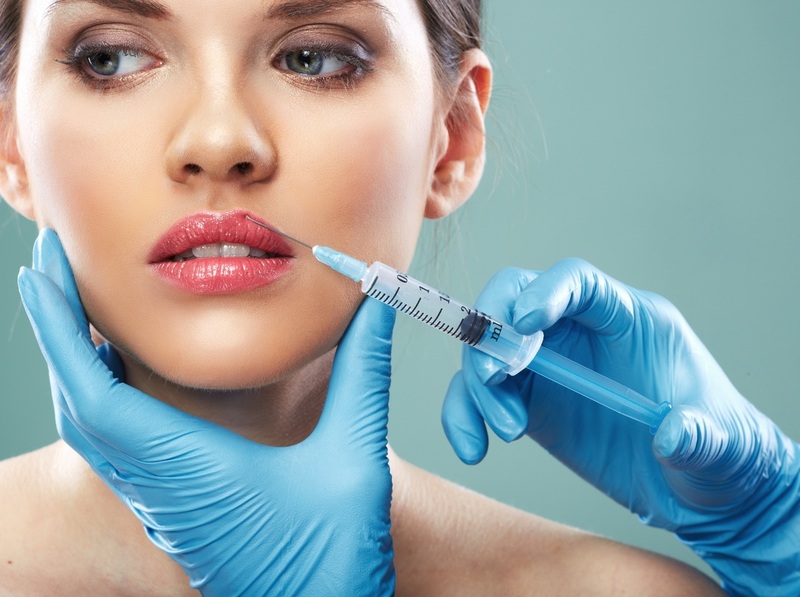 What is an injectable dermal filler? Injectable dermal fillers are used to replenish the volume in the face that time and aging can deplete. Volume can be created anywhere with filler including under the eyes, temples, cheeks, lips, and nasolabial folds. VOLUMA™ XC filler is indicated specifically for the cheeks. How is VOLUMA™ XC different than JUVEDERM® XC? VOLUMA™ XC is designed to improve a different area of the face – the cheek area. JUVEDERM® XC smoothes out moderate to severe wrinkles around the nose and mouth area (known as “parentheses”). While VOLUMA™ XC works to add volume to the cheek area. In general, we recommend our patients to avoid medications such as aspirin, fish oil, Vitamin E and non-steroidal anti-inflammatories (NSAIDs), for about 3 days to one least a week prior to receiving treatment, in order to reduce the risk of bruising and bleeding at the injection site. Clients must be 21 years of age or older to receive treatment. VOLUMA™ XC is contraindicated for clients with severe allergies manifested by a history of anaphylaxis or history or presence of multiple severe allergies, clients with a history of allergies to lidocaine or such materials and/or gram-positive bacterial proteins and such materials. The treatment itself takes a matter of minutes and results are noticed instantly, however, we recommend you to plan on visiting with our RN for about 45 minutes. VOLUMA™ XC is clinically proven to last up to 2 years with optimal treatment. The level of discomfort is minimal and completely tolerable. Most people describe it as a pinching feeling. To improve the comfort during your treatment, VOLUMA™ XC is specially formulated with lidocaine (a type of anesthetic). What do I need to avoid post-treatment? Common side effects are moderate and similar to other injectable dermal fillers, which include temporary reactions at the treatment site such as tenderness, swelling, firmness, lumps/bumps, bruising, pain, redness, discoloration, and itching. KYBELLA® is a prescription medicine used in adults to improve the appearance and profile of moderate to severe fat below the chin (submental fat), also called “double chin.” Kybella is an exciting new treatment for excess fat in the chin area. Kybella is a deoxycholic acid injection that can break down excess fat in the chin and under-chin (submental) area. Deoxycholic acid is completely safe to use because it already exists naturally in the human body. When Kybella is precisely injected in the under chin area, it can eliminate unwanted fat. How Long Does Kybella Treatment Take? Kybella treatment is usually very fast. It typically takes around 20 minutes per session. How Many Kybella Treatments Are Needed? This can vary from one patient to the next, as the amount of fat that needs to be dissolved will be different on each person. The majority of patients need between two and four treatments. Additionally, the treatments are typically scheduled about six weeks apart. How is The Patient Prepared For Kybella? The Kybella treatment provider may apply numbing cream or ice packs to help ease any discomfort that may come with the injections. Most patients find that the injections are not painful, as they are done with a very fine needle. How Long Will The Kybella Results Last? Kybella results are normally permanent because the fat cells are actually eliminated from the body. Even if patients gained weight after the elimination of their double chin with Kybella, that does not necessarily mean that a new double chin will appear. Which is the Better Treatment for Double Chin, Kybella or Liposuction? ​Kybella is a noninvasive option for double chin removal, while liposuction is a surgery that requires anesthesia. Kybella requires no downtime, while liposuction may require a week or more of recovery time. In most cases, Kybella is by far the superior option for the majority of people with double chins today, but for patients who have an extremely large amount of fat in the under-chin area, liposuction may be necessary. Sculptra is a synthetic and biocompatible material that is injected below the surface of the skin to correct the effects of facial fat loss. Sunken cheeks, indentations, and hollow eyes will regain lost volume over time with Sculptra. This non-invasive treatment corrects the deepest of lines and wrinkles with long-term results. What Exactly Is Sculptra And How Does It Work? The main component in Sculptra is poly-L-lactic acid, which is biocompatible and biodegradable. Poly-L-lactic acid has been used for many years in surgical products such as dissolvable stitches, soft tissue implants and other types of implants. Sculptra works by stimulating your own skin to build collagen around it, which takes several weeks. Results are visible within the first few treatment sessions. Sculptra is safe and has been used to treat over 150,000 people in over 30 countries worldwide. Sculptra has been clinically tested and is FDA approved in the United States. The procedure is performed at your doctor's office. Using a local anesthetic to minimize any discomfort, Sculptra is then injected using a very fine needle. As with most injections, side effects, though minimal, could possibly occur. The most common are redness, swelling, bruising, and pain around the treated area. Using icepacks immediately after treatment can minimize these effects. Side effects usually go away in a few hours up to a few days. Most patients feel comfortable returning to their normal activities following treatment. The number of treatments depends on the severity of your condition and the outcome you desire. Your doctor will decide on the appropriate number of treatment sessions and the amount of Sculptra you will need. What Results Can I Expect And How Long Will They Last? Sculptra will restore fullness to the face, creating a rejuvenated, natural appearance. It will restore the deepest of wrinkles and provide a gradual increase in skin thickness. Results will differ for each person, although, in a clinical study, treatment results lasted up to two years or longer. Touch-up treatments may be needed to maintain your desired effect.